The peace of God transcends every circumstance. It is the peace He gives us, not the conditional peace of the world. We must be diligent about connecting with peace and with God, who is the orchestrator of peace. We must pursue it and be intentional about maintaining it when the world tries to take it from us. I'm excited to announce Inhale Peace: A 31-Day Journey to Realign with God’s Peace, my devotional that will help you to remain aligned with the peace of God every day of the month. 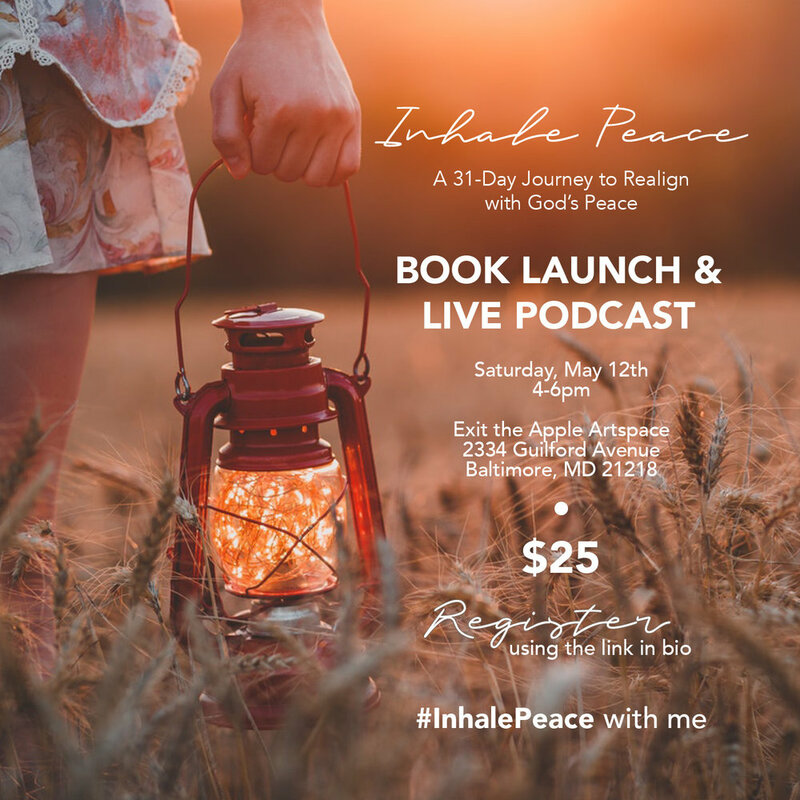 Celebrate with me on Saturday, May 12th, from 4-6pm, at my Inhale Peace Book Launch & Live Podcast Party! Come out for lite fare, great conversation and more! Tickets are $25 and includes an autographed copy of Inhale Peace: A 31-Day Journey to Realign with the Peace of God. Click here to purchase your ticket! I'm looking forward to seeing all of my #PeaceCollective in the house!